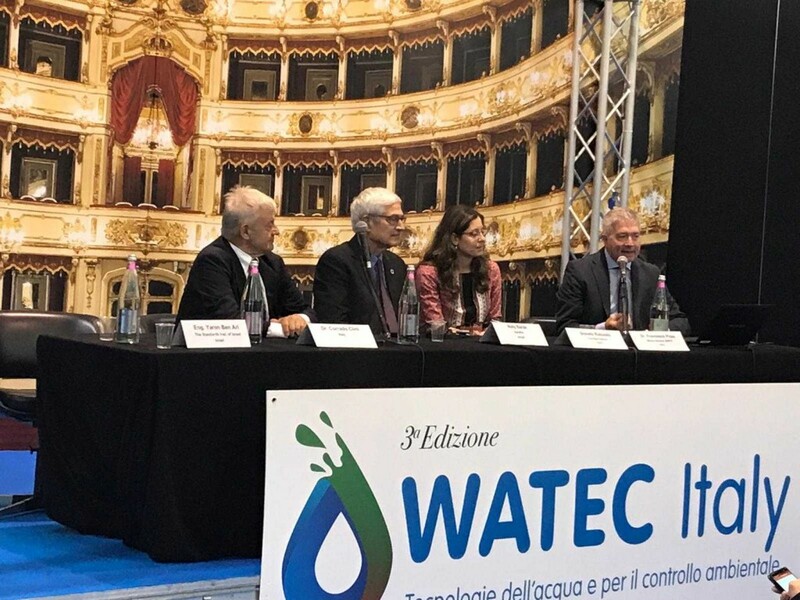 CREMONA, Italy, October 24, 2018 – Watec Italy, the International Water Technology and Environmental Control Conference and Exhibition in Italy, opens its doors to visitors at Water Hall, Cremona Fiere, Cremona, Italy from 24 to 27 October 2018. Organised by Kenes Exhibitions and Cremona Fiere, this year’s show presents a larger event to the industry as more than 200 international and local brands from 24 countries/regions have confirmed their participation. With continued growth and positive feedback over the years, Watec Italy 2018 is shaping up to be the biggest edition yet. Aside from the main exhibition, which will feature speciality products including water technologies and innovations, desalination, water management and others, the event will also include pavilions representing livestock companies and water technologies for the agriculture field such as irrigation and wastewater treatment. The show will also have dedicated product demonstrations, conference and seminars for all the visitors. In addition to the exhibits water leaders from Italy and Israel, this years’ event will host also Padania Acque and Aqua Publica Europea (APE)– the European association of public water service operators that bring together 62 public companies in the water sector and reach 70 million citizens every day. The Mayor and Deputy from Regionale Lombardia officiated the opening ceremony of Watec Italy 2018. From the left: The President of Cremona’s County – Mr. Viola, On.Gallinella – Deputy of the Italian Parliament, Mr. Roberto Zanchi – President of Cremona Fiere, Mr. Gianluca Calimberti, Mr. Fabio Rolfi . One of the highlights of the 4-day event, is that the participants will have the opportunity to take part in face-to-face meetings in a focused business environment. Watec Italy provides the perfect platform for companies and leading brands to showcase their most comprehensive range of innovative water products, services and technologies to a wide audience of professionals. Trade visitors at Watec Italy 2018 can expect a great line-up of exhibitors, seminars, product demo areas and business networking opportunities. We are very fortunate to gain the continuous support of the Padania Acque (presented by Mr. Lombardi), WSSTP (presented by Mr. Rubini) and A2A (Mr. Ventera) – see the photo below, as the event grows year-on-year offering water industry professionals with a much deserved platform for learning and promotion, as well as attracting industry professionals to meet changing consumer needs. 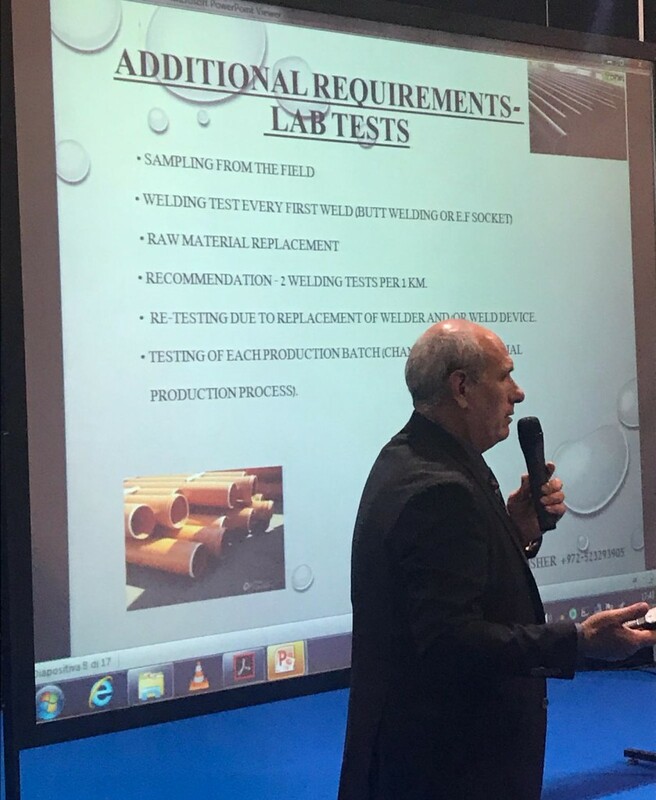 The first day was closed with the lecture of Mr. Eddie Gosher, Head of Plastic & Irrigation Systems Section Mechanics & Hydraulics Laboratories-SII: “Tests quality of laying of the pipe” in the session: Water Distribution Management: Quality of Water and Network. This show brings together the very best in water and livestock products, from water irrigation, desalination, wastewater treatment and software for water management to environmental innovations and services, livestock, agriculture and horticulture. The event attracts over 6,000 visitors annually including wholesalers, distributors, agents and retailers of water and related products, owners, consultants, scientists, academic representatives, agronomists and animal doctors, sourcing managers, procurement heads, R&D managers and purchasing managers, and many others! JOIN US FOR THE NEXT DAYS TO LEARN MORE ABOUT WATER MANAGEMENT AND WASTEWATER TREATMENT, ITS USAGE IN THE LIVESTOCK DIRECTLY FROM THE EXPERTS IN THE WATER INDUSTRY. We count on you to be there! For more information, visit: http://www.watecitaly.com.